Dixie and Paul’s experience — with a personal perspective on the reality, the consequences, and survival of traumatic injury and illness–offers comfort, hope and practical tips and tools to help others facing seemingly insurmountable obstacles. Dixie & Paul: Grand Rounds – Tufts Medical Center an internationally respected academic teaching hospital in Boston w full-service Floating Hospital for Children. 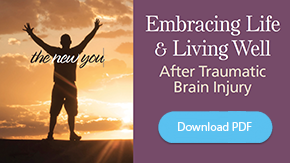 Keynote for Washington State Brain Injury Conference – Embracing Life & Living Well After Brain Injury. Title of Dixie’s talk – Challenges, Changes, & Choices for Caregivers. (Concord Festival of Authors) For a look behind the scenes at the impact of brain injury on their families and the special challenges they faced in helping their loved ones recover: Event – Life After Brain Injury: Havoc, Hope, and Healing. (braintreerehabhospital.com) Dixie’s talk and power point – Preparing For The Unthinkable – Caregiving Tips! How doctors, nurses, and speech, occupational and physical therapists can better help a parent through a medical crisis. (dana-farber.org) Dixie and Paul have been advocates and keynote speakers sharing their harrowing journey and inspirational story at numerous fundraisers for the integrative therapies programs at the Zakim Center at Dana Farber/Jimmy Fund in Boston, MA., especially for the music therapy program. (Zakim Center for Integrative Therapies web site ), David S. Rosenthal, MD, Medical Director. (franciscanshospital.org) Dixie and Paul have spoken at numerous Franciscan Hospital fundraising events, most often as keynote speakers, offering hope and helping to raise funds for the hospital and children in need. Paul joined forces with Operation Swan Dive to help raise money for Lyrics for Life, a charity that helps kids with childhood cancer. 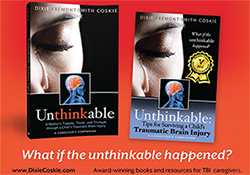 Paul and Dixie have spoken at schools and camps about the importance of helmet/bicycle saftey and the consequences, challenges and survival of traumatic brain injury. Dixie and Paul participated in this charity event to help benefit Franciscans Hospital for Children. (pitchinginforkids.org) – Pitching In For Kids was founded by Boston Red Sox players Jason Varitek and Tim Wakefield. Paul was one of two keynote speakers at this charity event sharing his harrowing journey and inspirational story to help raise money for other kids in need. (read more) An organization supporting the prevention of brain injury through the use of helmets and helmet safety. Dixie and Paul have shared their story of surviving a TBI, bringing awarness to the consequences from not wearing a helmet. (toysafety.org) Paul has spoken about the consequences of not wearing a helmet and the importance of helmet safety for this national organization. 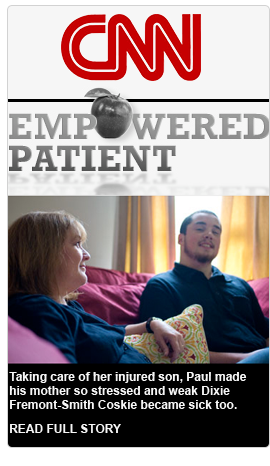 Boston University: Educating Occupational, Physical and Speech students about the rehabilitation experience from a patient’s point of view. UMass Memorial Medical Center: Educating medical students about the intensive care unit, hospital experience from a families perspective and about recovery and prevention from traumatic brain injury. Dixie and Paul have shared their story at many local Helmet Safety Awareness Programs, speaking at a variety of schools, camps, hospitals and colleges including Holy Cross College, Blackstone Valley Middle School and Mendon & Upton child safety programs. (bostonwrites.com) Dixie has been a guest speaker on the “Mothers Who Write” Panel during the writers conference, The Muse & The Marketplace in Boston, Massachusetts, sharing her expertise into the writing and publishing world.